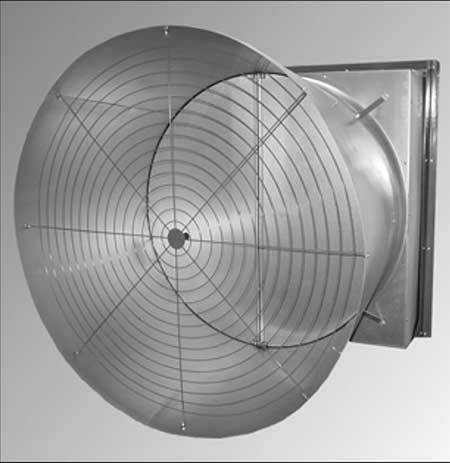 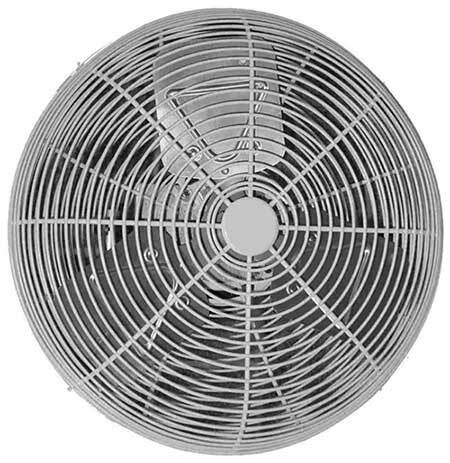 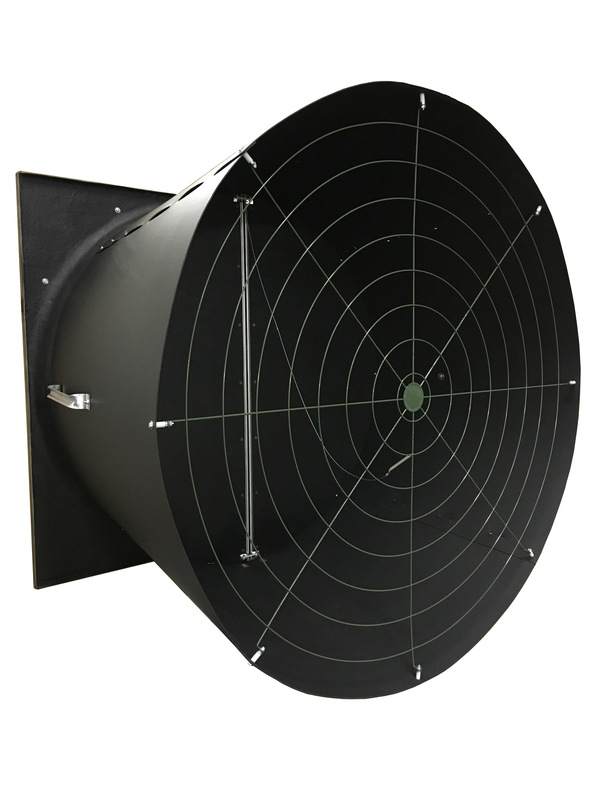 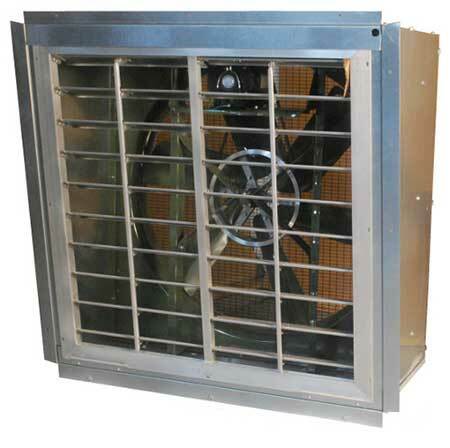 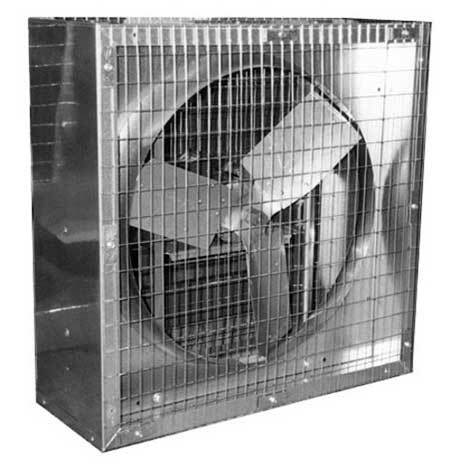 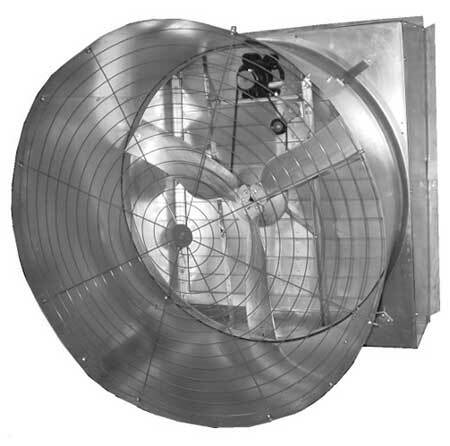 American Coolair’s Type NBF fan provides the solution to fresh air ventilation in most types of farm buildings. 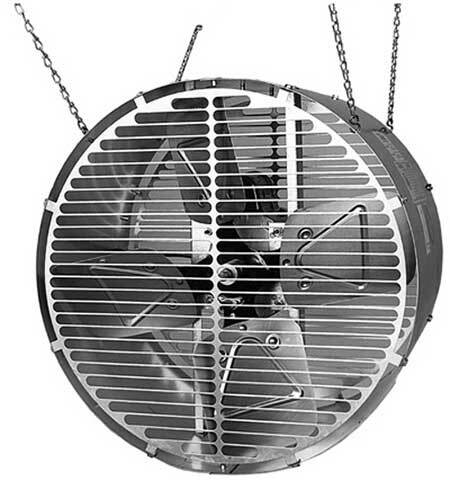 Type NBF fans are built to give you years of heavy-duty trouble-free service. 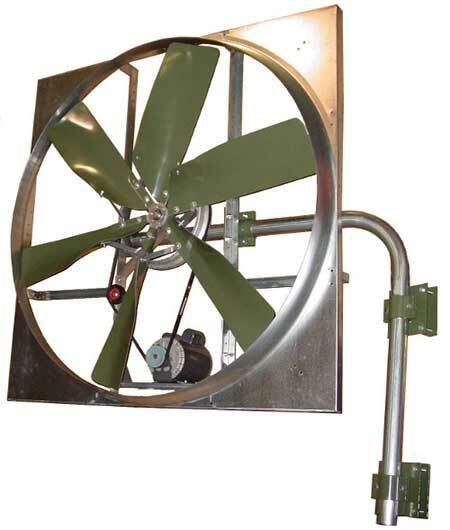 The rugged, belt-driven construction operates in any position, has permanently lubricated ball bearings, and is available with single- or tw o-speed totally enclosed motors. 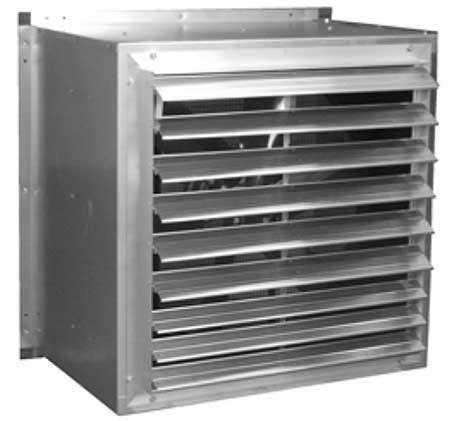 Coolair has developed a complete ventilation system for farm use combining the Type NBF fan with a Type LRW all aluminum shutter and heavy gauge galvanized steel wall housing (square box or slope) for exterior mounting, allowing a maximum of unobstructed interior space. 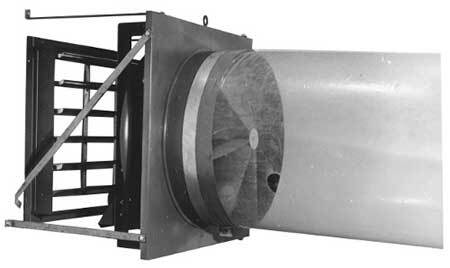 EXCLUSIVE DRIVE ASSEMBLY. 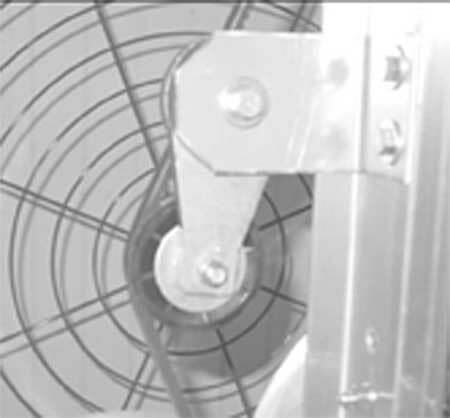 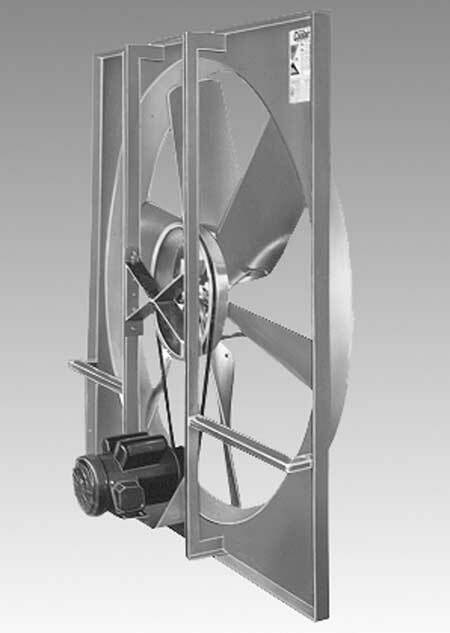 Our engineers have developed an innovative drive assembly for the Type NBF fan. 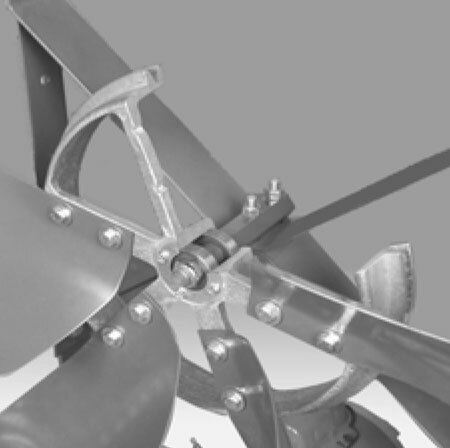 Power is applied through V-belts directly to the propeller with blade load concentrated directly over the bearings to eliminate overhung bearing load. 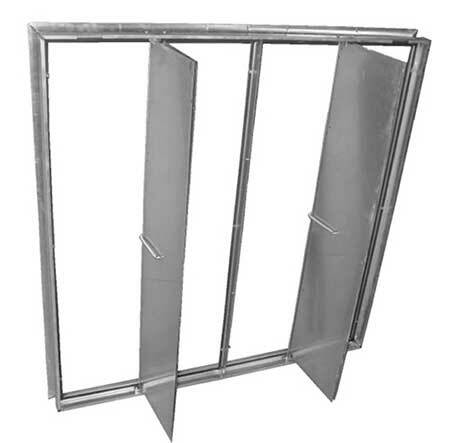 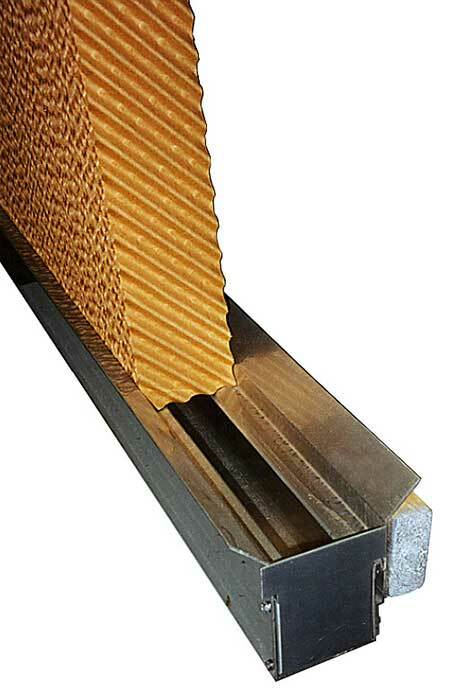 The exclusive, time tested design has been widely acclaimed by engineers. 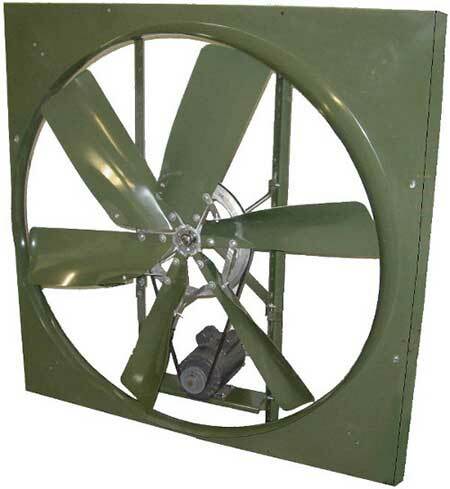 Our use of quality materials and precise engineering techniques in constructing wheel assemblies assure you of years of quiet, trouble-free service. 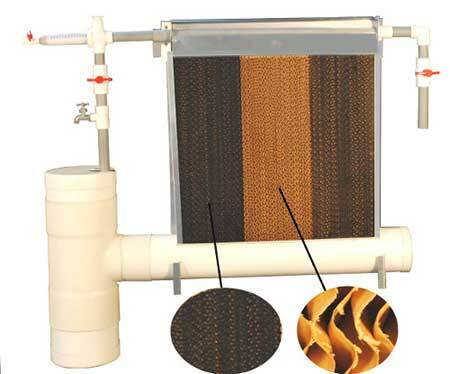 BASIC COMPONENTS. 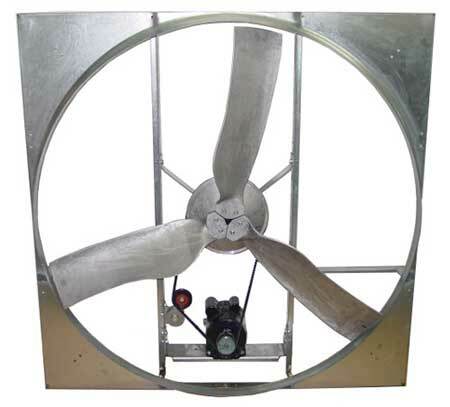 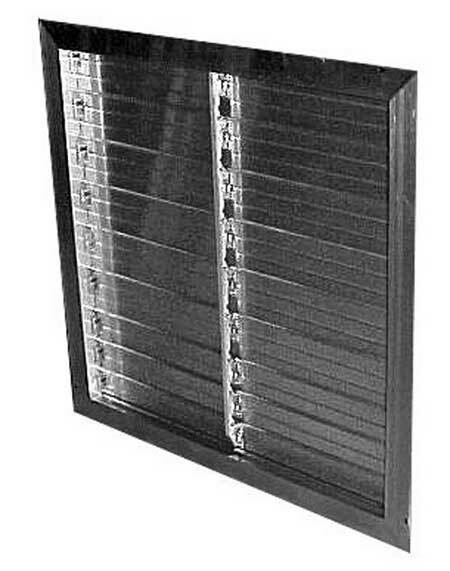 Both the fan panel and the uprights which support the motor and propeller are formed from heavy-gauge steel for maximum strength and rigidity. 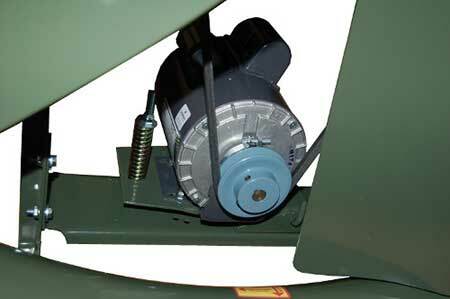 The propeller is composed of a heavy cast wheel with six die formed blades individually mounted. 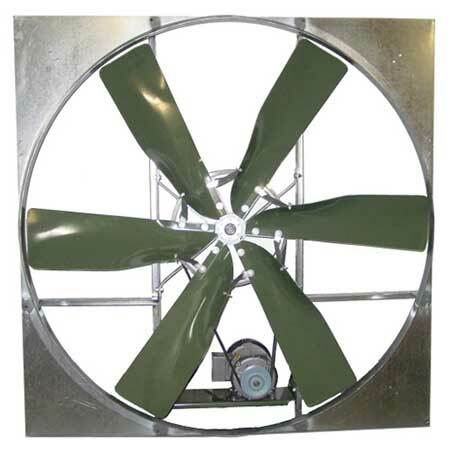 Painted parts are coated with a thermosetting epoxy coating to provide a protective coating rated excellent for hardness, impact resistance, adhesion and chemical resistance. 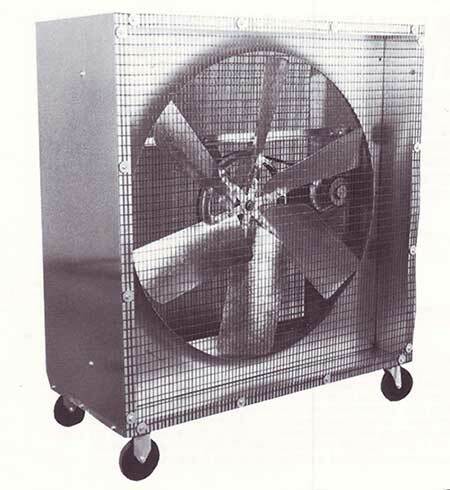 PERFORMANCE AND EFFICIENCY. 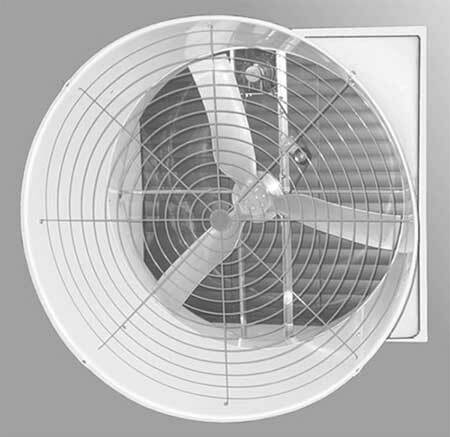 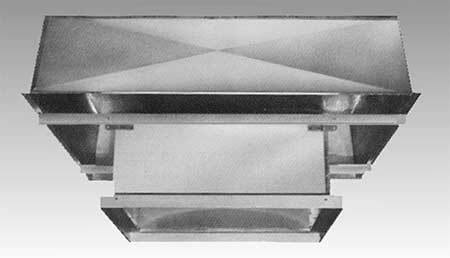 When economy is measured in terms of cubic feet of air per minute per dollar invested, the Type NBF wall exhaust fan is unsurpassed. 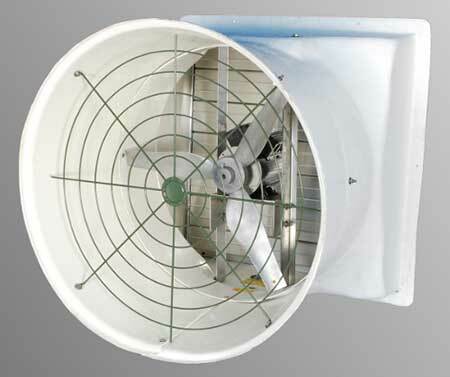 American Coolair’s Type NBF fan is today's best investment. 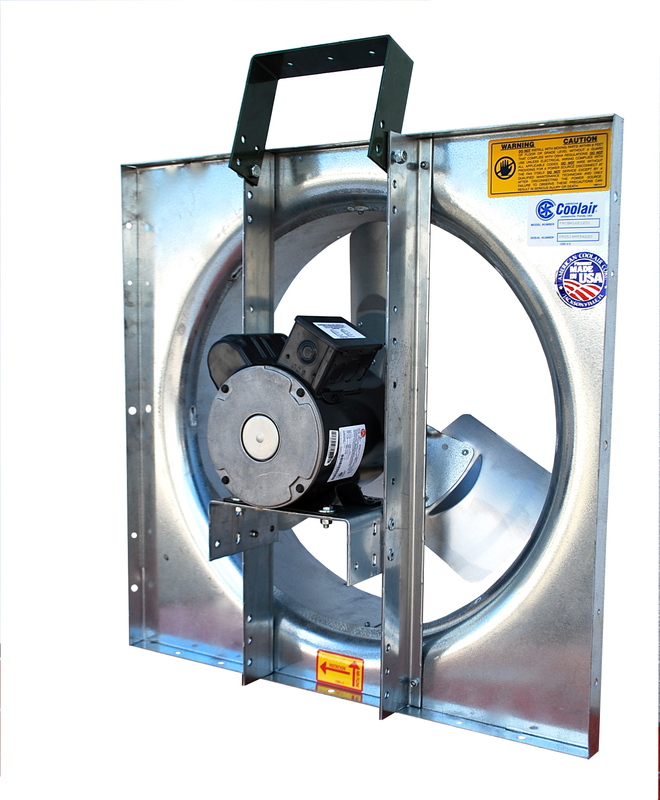 Coolair uses only the most efficient totally enclosed ball bearing motors available. 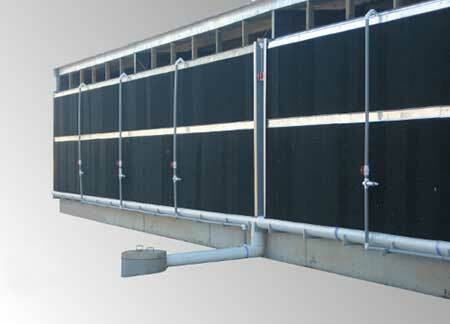 Motors up through 1 horsepower are resilient base. 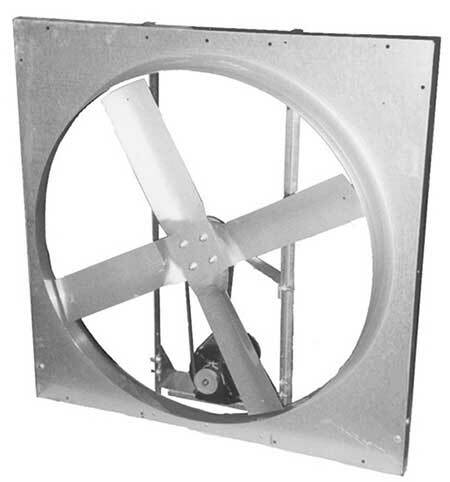 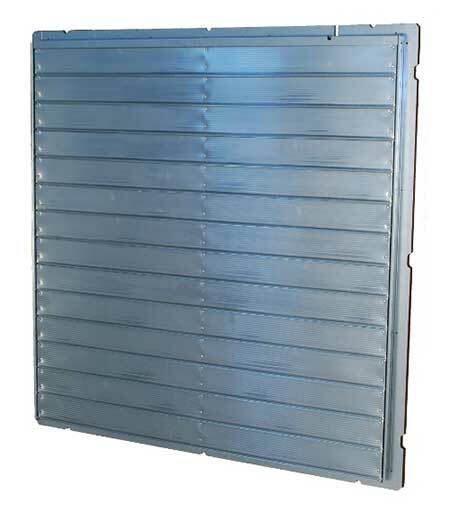 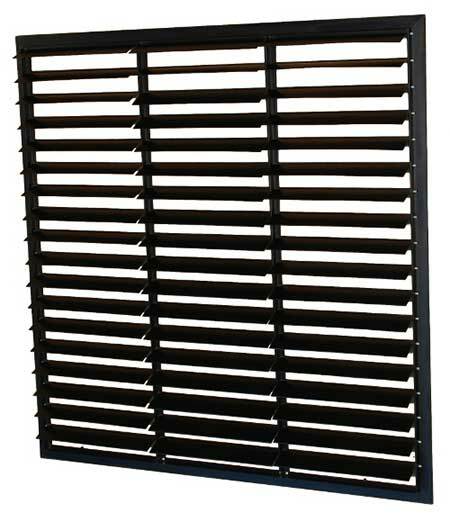 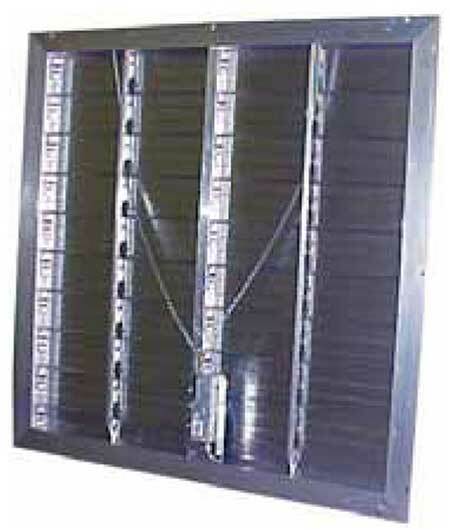 The NBF fan is available as a fully asembled unit in the slope wall housing.